Sew! Can! 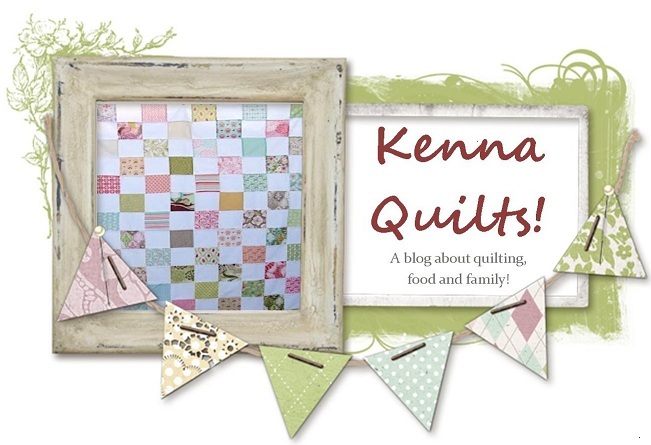 Kenna: Time to sew? I was talking to the dude last night and I told him that I just can't ever find time to sew. I go to a quilting "class" on Thursday nights, and I sew like a maniac for 3 hours, but I really am bummed that I can only find those 3 hours in the week. He told me that we had nothing planned today so I should sew. I planned on it. It's 10pm and I have not touched a single project. Got up with a punk at 7:30, made coffee and her breakfast (puree'd mango's-she loves them) and fed her. Gave the punk a bottle and put her down for a nap. Got the punk up and changed her. Changed her sheet and the changing table pad too. Laid down with the punk and took a fantastic 2 hour nap. Got the punk ready to go with her papa to see her grandpa. Went to Whole Foods for baby stuff. Cleaned the kitchen while the dude gave the punk a bath. Folded and put away 8 loads of laundry. And then sat down to pay bills and instead wrote this blog. Of course my computer crashed before I could post this blog....figures. I went to bed. And again, no sewing. Today is a new day. Maybe I will find time to sew....after working, cooking dinner, and putting the punk to bed...then again...maybe Thursday is it! I know how you feel about finding time to sew! I go to college, so I only sew on weekends I am home, and that's if I even have time =/ I feel your pain!